Ya une sacrée taupe si même les versions alpha se font copier en interne. Ai je encore le droit de corriger le firmware pour les gens qui le demande... ? Va t'il falloir que je justifie chaque point des mises à jour ? Comme souvent, il s'agit juste d'un retour d'un utilisateur. Et non... je n'ai pas eu besoin du bidule open source pour faire un truc aussi trivial : vérifier un flag d'un fichier, incroyable nan ? Pour information, il y a une version Windows / Linux du File selector depuis quelques mois qui permet d'affecter les slots plus facilement. - Exporter vers un fichier texte les slots. - Importer un fichier texte vers les slots. - Effacer l'ensemble des slots. - Affecter automatiquement les slots avec l'ensemble des images présentes sur la carte SD/clée USB. - OLED screen : Standby/screen saver mode - The screen is now dimmed to a minimal level. The standby delay can be changed into the setting menu. A quand un nouveau firmware pour le HxC Floppy Emulator (version carte SD) qui prend en charge le format eDSK ? Une mise à jour de la partie interface utilisateur est prévue. En revanche pas de support d'eDSK prévue pour cette génération. - Fix a regression introduced into the v3.1.28.1a : Fix normal and indexed mode possible browsing issues (unexpected wrap to index 0). "rib" (7 segments display) or "Floppy ribbon reversed !" (LCD/OLed display) message printed at power-up if the floppy ribbon is not connected properly. - STM32 startup / init functions refactored (WIP). - Flash memory code size reduced. - CPC DSK : Write cache flush timeout set to 2 seconds. General : Faster/better file images identification and loader. General : Many loaders now use the new generic raw file loader. General : Lots of code improvements. Internal tracks generator : Now support "weak" sectors. HFEv3 writer : Remove any possible parasitic opcodes coming from the stream. New Loader : NEC PC98/PC88 FDI. CPCDSK loader/writer : Now support the SAMDisk method for DSK with weak bits. Roland DD XML : Fix tracks skew. New XML format : ABB disks formats. New XML format : Automatix RAIL DD disk format. New XML format : COMX disks formats. New XML format : DEC RX55 format. New XML format : Didaktik Spectrum disk format. New XML format : Dynacord HD disks formats. New XML format : Gravograph ISIS 640KB disk format. New XML format : Memotech disks formats. New XML format : Oerlikon Balzers disks formats. New XML format : OpusDiscovery disk format. New XML format : Oric Jasmin disk format. New XML format : OS9 DD disks formats. New XML format : PUMA arm robot disks formats. New XML format : Tatung Einstein disks formats. New XML format : Timex FDD3000 formats. New XML format : TRS80 disk format. New XML format : Unitel Videotex format. New file image support : SAB Diskette Utility / *.SDU floppy image. SCP Loader/Writer : Fix single sided SCP file export. New writer : Dragon VDK format. Change urls to point to the main hxc2001 domain + switch to https. CPCDSK loader: v2.1.20.1 Regression fixed. (null sector data length field support). Track editor : New Side1 add/delete button. HFE v3 loader: Regression fixed. 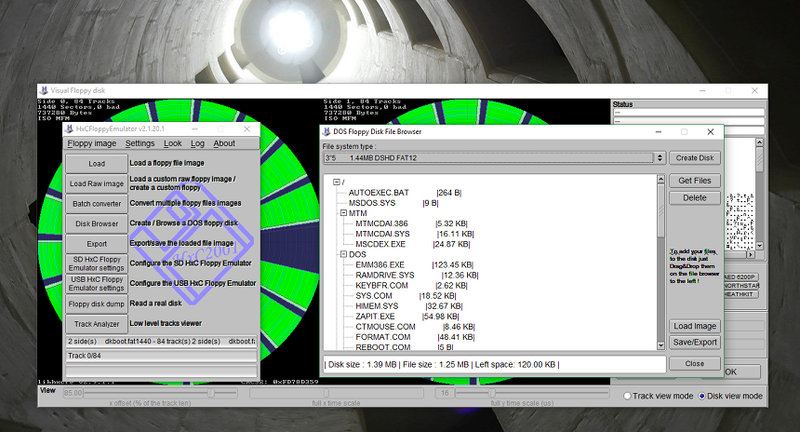 Dos disk browser : Amiga HD (1760KB) disk creation support. Dos disk browser : Amiga HD (1760KB) disk support fixed. TeleDisk loader fixed : Bad CRC checking fixed. Choose the options on the form, submit it and receive a new firmware specially built with your options some minutes later ! This is currently a beta version/"proof of concept" state. Many useful options still missing. They will be added in the next days/weeks so stay tuned ! Mode 1 - Plain text browser, Entries format : "IIII;T;SSSSSSSS;File name\r\n"
Mode 2 - Slot list mode. - Change Objects list ID base (0x6) (Plain text browser). - Select/Enter Object (0x7) (Plain text browser - Image/Directory selection or File tranfert mode). - Set file base offset (0x8) (File transfer mode). - Get current selected image (0x9). - Select file with path (0xA) (Select image with a plain text file path). the need of any FAT32 library on resource-limited machines. - 16 different oled graphic fonts available. 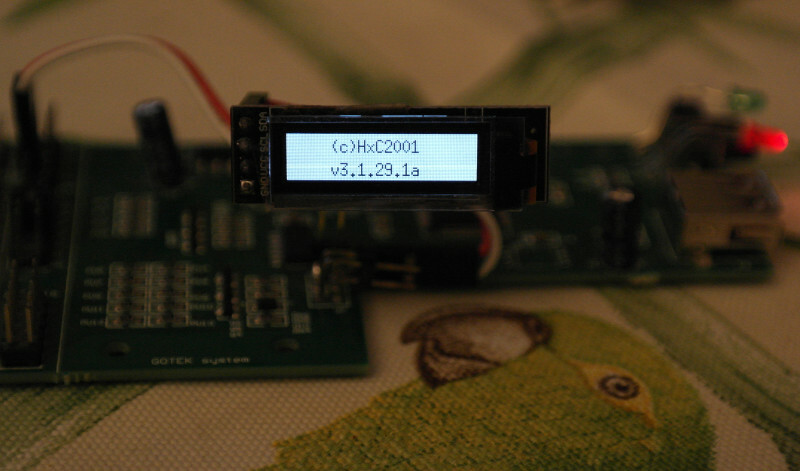 - New oled screen models supported (128x32,128x64, SSD1306, SH1106...). - Default raw system selection. -> Raw file image/disk format selection. -> You can now define your raw file image/disk format !